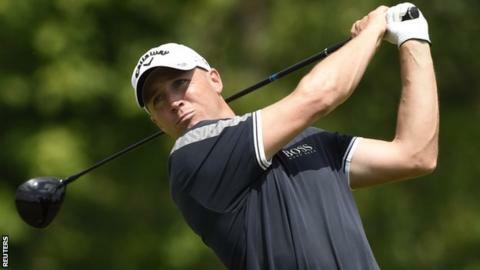 Sweden's Alex Noren beat Australia's Scott Hend in a play-off to win the European Masters for a second time at Crans-sur-Sierre in Switzerland. Noren hit a final round of 65, then birdied the first extra hole after the pair tied on 17 under, three clear of England's Andrew Johnston. England's Lee Westwood, one of three wildcard picks for Europe's Ryder Cup team, carded a 63 to finish fourth. Defending champion Danny Willett tied for 12th after a final round of 66. Aided by a brilliant front nine of 30 which included four birdies in a row, 2009 champion Noren overturned a one-shot overnight deficit to lead by two with four holes to play. Hend, the 2015 Scottish Open champion, reduced his deficit to a single shot with a birdie on the 15th and when Noren three-putted the 17th from long range to force a play-off. After hooking his drive into the trees but seeing the ball bounce across the fairway, Hend only just cleared the water with his approach before chipping to five feet, but Noren made certain of the win by holing a birdie attempt from 25 feet.